Japan has one of the most developed car industries in the world and the same applies to the car auction segment of the business. Japanese car auctions are huge, extremely well-stocked, and deliver an auction experience unlike any other in the world. 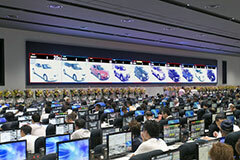 Like most things in Japan, car auctions are also well-regulated and run like clockwork. What's more, they are mostly technology-driven, so you won't be hearing the charming auction chant as the cars are being shown and auctioned. This is why it's interesting to take a closer look at a Japanese car auction. How to Enter a Japanese Car Auction? Japanese car auctions are dedicated to used car dealers, rather than the general public. They are the place where dealers buy and sell used cars to and from each other. New cars are also sold in these auctions but they are considered used by common standards. To participate in the auction, one has to go through a two-step membership process which is not as simple as it might seem. The easier part is becoming a used car dealer, but building up rapport with auction houses is a completely different ballgame. Certified used car dealers need to secure a membership with the auction houses. This involves an outdated system to attain bidding rights in an auction. The entire process is usually quite long and includes different guarantors and a lot of paperwork going back and forth. But once the rite of passage is complete, the dealers can enjoy the many benefits of the Japanese used car market. On the other hand, the entire ordeal aggravates Japanese car exporters. This is why they often choose secondary auctions like ASNET. The ASNET auction house doesn't require a used car dealer license but it does come with some downsides. The cars usually reach higher prices in ASNET auctions since there is no way to control the bidding. Is There a Way for an Average Joe to Get in? According to official rules, the auctions are strictly off limits to the general public. But the industrious Japanese dealers have found a way to curb the rules and bring foreign buyers and other people into the auctions. It usually means one has to dress for the occasion and pretend to be the dealer's employee. However, foreign buyers comprise up to 40% of the total auction sales. So it's easy to assume that the auction houses are happy to turn a blind eye on the gaijin employees the dealers keep bringing in. How to Bid in a Japanese Car Auction? Unfortunately, the system of auctioneers and their chants no longer exists - at least for car auctions. Used car bidding in Japan can be loosely described as a clicking war, where buyers outbid each other by clicking a button until the highest bidder wins the auction. USS Tokyo is the largest click-a-button auction. Eight different lanes of cars are being sold simultaneously at all times. And the interesting fact is that there's no stopping until the auction is over. No lunch breaks, no toiler runs - you blink and the car is gone. Nyusatsu auctions, on the other hand, offer a tender-like bidding. The registered participants place their bids secretly and the auction house announces the winner at a predetermined time. These auctions may be an excellent place to get used cars at bargain prices. An interesting fact is that Japanese auction houses go through about 150,000 cars every week during the peak months. It is obvious how seriously the Japanese take their car auctions. Despite all the rules and barriers, they can be a fun place to be. So if you ever get a chance to sneak into one, take it. If nothing else, you will be amazed by the number of cars and the speed of the auction.